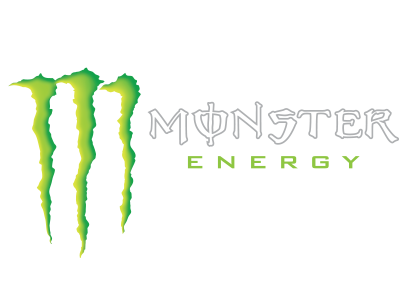 The 2017 WorldSBK Championship has reached it's summer break. However, there is no rest for Kawasaki Racing Team. This week we will test the Ninja ZX-10RR race machine at Laustizring in Germany ahead of Round 10 of the championship. Having a little bit of a break from pure racing provides a good opportunity to have a look at some of the things that are really important to the success on the track. Whether you ride on the street, off road or on the race track, the kit you wear is incredibly important. First and foremost for safety, but also for comfort. 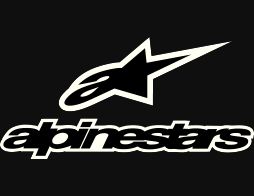 I am fortunate enough to have been supported by Alpinestars for a number of years and having used their equipment on the race track and also in motocross, if I had a personal choice I would always use their products above anyone elses. When I grew up riding motocross every kid back then dreamt of a pair of white Tech 8 motocross boots. That was like the dream and I never came from a family with heaps of money so I always had lower end of the market stuff but I once persuaded my Dad that if he bought me a pair of white Tech 7’s I would be so much faster. When I was able to be involved with Alpinestars professionally back in 2006 in the British Championship I was so excited. 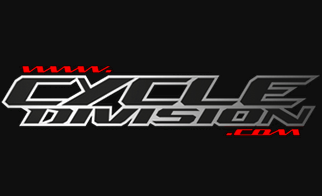 They are an amazing company to work with – they have a racing service at all SBK events – and details I report back, if I need an extra protection anywhere on the leathers if I need something adjusted the leathers go back there and it is done. I have had time in Australia where I have crashed two suits during a test on the Monday/Tuesday before the race and there is another suit just made and shipped out for the following Friday morning for the race weekend. So the level of service I receive from them is incredible. At every race track I am lucky enough to have the support of a member of Alpinestars Technical staff at the circuit. In general, because I have used the product for so long, I don’t have so many demands at the race track but its great to have them there. Each weekend they will check airbags, repair the suits if I have a crash or change any of the interchangeable parts such as elbow sliders, knee sliders, make sure everything is clean and tidy. If there are any technical developments that I would like with the suit they can take that feedback back and the production can put that into action. Each weekend I have three leather suits at the race track. If one of my suits has to go back to the workshop they always ensure that I have that one back or a replacement for the next event. The level of quality of the product is second to none and it makes me very proud to be involved with a market leader. 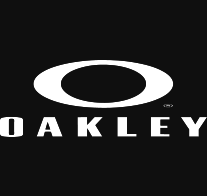 They are also such a cool company with a huge casual wear department and most of my personal wardrobe is from Alpinestars. 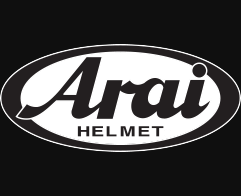 They supply me with all of my motocross protection as well like boots, knee braces, chest protector. One of their recent innovations is TechAir, an airbag within my leather suit. At Lausitzring last year I got put down pretty hard on my left side. After having a false neutral and fighting to engage first gear at the last possible minute I got catapulted into the ground. At that point I was racing for the championship and the championship gap had gone right done to the wire with 3 or 4 rounds to go, to 26 points, so the airbag came into play in saving the championship at that moment. I could have walked away with a bad shoulder or collarbone. More important than any time was when I had a huge highside in T3 at Jerez in testing in November. It was a big crash and I ‘trundled’ through the gravel. I had to go to the medical centre to get checked out to make sure I could carry on but within 1 hour after lunch I went out and went faster than I had done before. I put a lot of that down to having the TechAir system. Loads of people ask me if I feel it going off, how is it?, does it make a big noise? but honestly when you crash the last thing you are thinking about is did my airbag go off. I didn’t realize actually anything had happened until I was in the gravel and knew I had an airbag that was inflated around me. But then you waken up the next morning and don’t have so many aches and pains, or a sore neck. You can crash and not hurt yourself but the sheer speed you go into gravel and toss and turn means you will have some aches whereas with this I wake up the next day relatively fine. With TechAir now, its one on those things that I have become so used to it has become part of my routine. I always have to check that I have fastened everything up right, connected the magnets and that the lights have come on. At a test once in the off season Kev had just charged the system and nothing was connected and it was in my brain just thinking I had to wait until everything was charged and connected or else I wasn’t going to ride with out it. In theory he had just not connected a wire but I would hate to ride without it now. It has definitely changed my menatilty. I was also involved in launching the product in the Australian market back in February when the championship visited Phillip Island. It is a big product as it’s now available for the general road product, known as TechAir Street, which is huge. We are very lucky we have huge gravel beds to go into and as dangerous as our sport is we make it as safe as possible. You don’t get that on the road and as with your helmet you only get one chance so knowing that that technology is available in street wear for customers is really cool and I hope people invest in it because it is similar to a situation if you went into a car dealership – would you invest in a car that didn’t have air bags – probably not. So if you are a motorbike rider I think investing in the TechAir system is really important.